SCE-TCZ series refers to the SCE products whose output is contact type with terminals on different side. Its rated voltage is 2.7V. 450F and 700F are available. 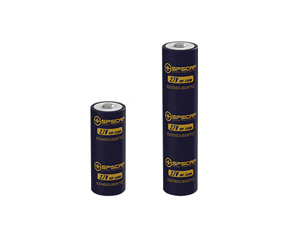 SCE-TCZ series is a kind of electrochemical devices,whose storage process does not need chemical reaction, and the process is reversible, therefore the super capacitor can tolerate repeated charge and discharge for hundreds of thousands of times, and will not cause environmental pollution. The 2.7V ultracapacitor series has long storage time. After charging, although there is a bit current leakage, which occurs during the movement of ions and protons inside the capacitor under the influence of electric field, without any chemical or electrochemical reaction, therefore no new material is produced.Besides the electrode material is stable in the corresponding electrolyte. So the storage time for super capacitor can almost be unlimited. With a cycle life of 10,00,000 cycles, SCE-TCZ Series Cells can be rapidly charged and discharged over and over again, making them one of the most energy efficient, environmentally friendly, and cost effective ways to store energy. Due to the characters of long life cycle , wide working temperature,easy to charge with low current.SCE-tcz are mainly used as UPS and backup power supply.